When you are negotiating a deal with a supplier, the first price they throw out is almost never their best or lowest price. Therefore, if you accept it you are simply paying more than you need to. When they throw out their initial offer, you simply look and act shocked. Contort your face in a look of horror and verbalize your surprise. For instance, if they say “those new lights will cost you $500” you say “500?! That’s a lot of money!” It doesn’t matter if they quoted you something reasonable; it matters that you respond the same way every time: with shock and surprise. They will feel uncomfortable and concerned about losing your business, and they’ll often knock down the price in mere seconds. If there is nothing else you learn from this negotiating guide, then at least internalize this tip. You need a “best alternative” in every deal. This is something that you can do instead of your other options. By always having more than one vendor, supplier, or course of action, you have leverage. You can walk away at any time. Thus, the essence of this skill is truly in doing research and making contingency plans so you are never afraid to say “no” to a bad deal. Everyone seems to want to be the boss these days. And it makes sense: who doesn’t want more control, more prestige, and more money? However, when negotiating, it’s best not to appear to be the number one person in charge. Your negotiating opponent will be more likely to go along with your proposals if they feel it really was the best you could do. When conceding something in the negotiation is out of your control (or is perceived to be) then you can’t be blamed for driving a hard bargain. If you want to be a true negotiation master, then go for deals where both sides win. This might seem like the wrong choice at first. After all, don’t you want to get everything you can out of each deal? The answer is that what you actually probably want is to have the best long-term solutions. 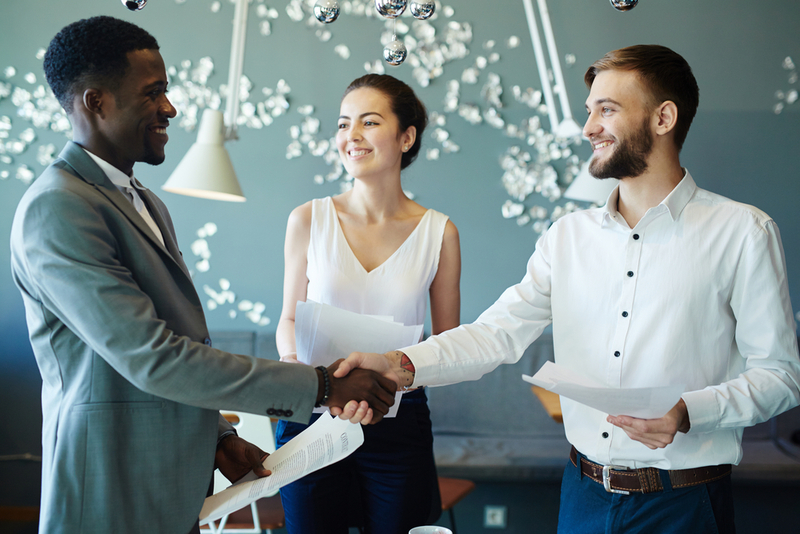 When you try to make it attractive for people to do repeat business with you, you’ll have better deals in the long run and partnerships that you can leverage. In conclusion, negotiating can be intimidating at first. If you don’t have a lot of deals under your belt, don’t worry. If you practice the four tips above, you’ll build a skillset and a mindset that lets you get great deals, lower prices, and stronger relationships. That way you can set yourself up for major success in business for the long run.